Our Amish Jasper Bench is a true treasure. Handcrafted in the USA by skilled Amish woodworkers, this excellent piece is made with care for your home. Available in oak, cherry, quartersawn white oak, hard maple, brown maple, hickory, elm, or walnut wood, you will be able to design the bench of your dreams thanks to our many options. Whichever material you choose, you can be sure that the wood is 100% solid and sourced from North America. We offer 4 size selections to best suit your needs, with 36" being standard. 48", 60", and 72" are also available for an additional charge. 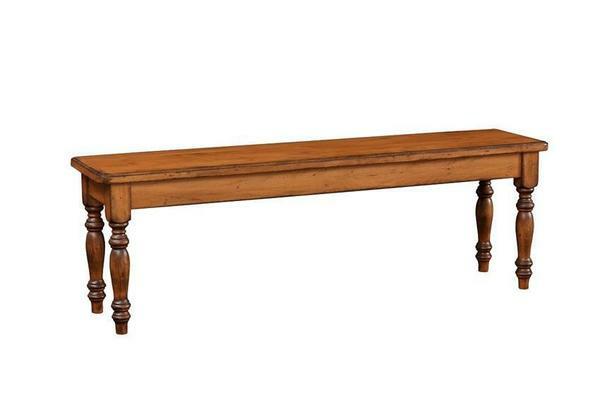 Perfect for your entryway, or to add extra seating in your living room, the possibilities for our Jasper Bench are many. We love it behind the couch or nestled in a cozy spot in your kitchen. Any and every room in your home will benefit from the beauty of true Amish craftsmanship. 866-272-6773 is the number to dial in order to speak with a friendly member of our team of Amish furniture specialists. Please do not hesitate to get in touch today.